Tim Cook has repeatedly said that touchscreens are not going to be a part of the MacBook but instead, we got the Touch Bar on the higher-end 13 and 15-inch MacBook Pro 2016 lineup. Now suppose if the entire MacBook Pro came with a Touch Bar-like feature, allowing you to pop up a complete keyboard whenever you felt like while experiencing the sensation of a key press through a Taptic Engine present underneath? 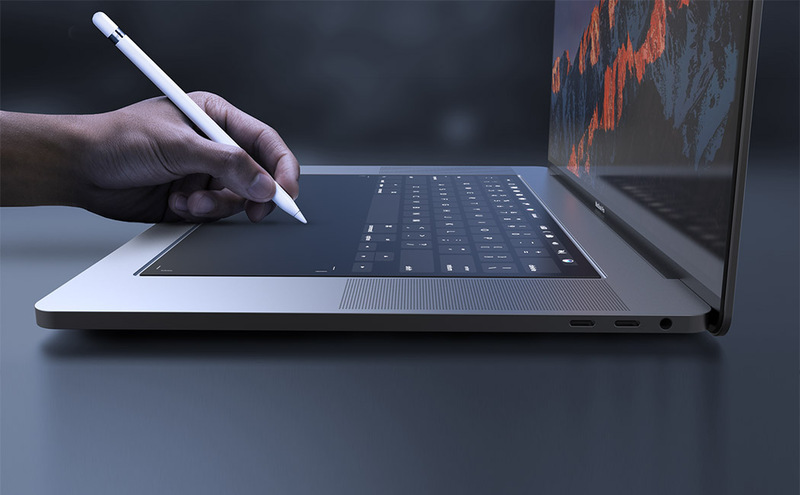 This latest concept highlights just that so be sure to take a look at how this designer has envisioned future MacBook Pro models to function. Daniel Brunsteiner might give us a sneak peek into the future but that will also depend on Apple’s vision of a completely different, yet functional notebook. 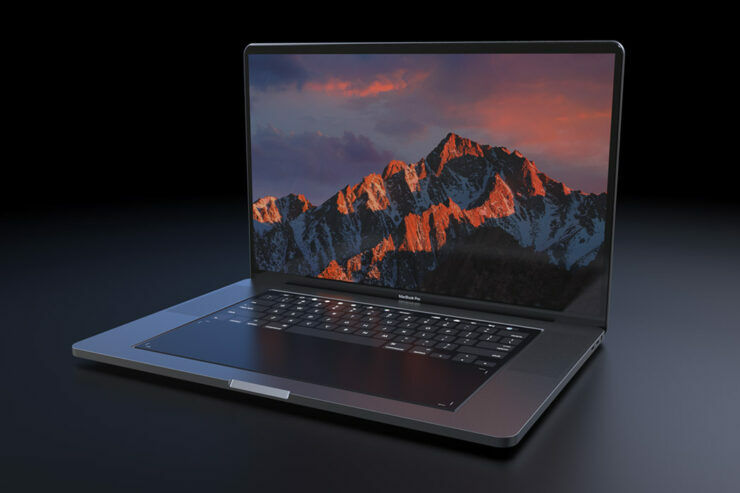 In this MacBook Pro concept, there are no physical keys and the entire layout has been replaced with a touchpad that acts like an oversized Touch Bar. Naturally, typing on this interactive keyboard is going to feel like a terrible experience but to deliver that keypress sensation is Apple’s Taptic Engine. The aforementioned hardware change has allowed Apple to completely remove the mechanical home button on its iPhone 7 and iPhone 7 Plus. To be honest, there are times when I feel the circular area is an actual button when pressed so the designer was aiming to provide us a concept where the notebook will be able to function just like that. Still, it is quite a long shot from this actually taking place because there are a lot of compromises that the consumer has to endure with this approach. 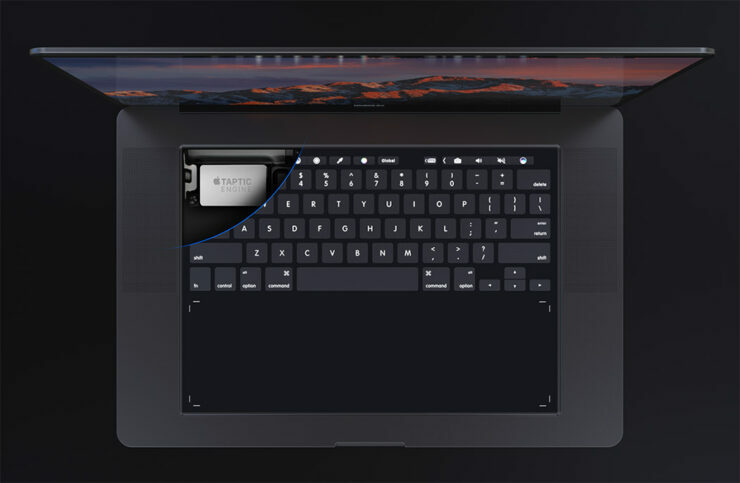 Though there are endless possibilities of an entire touchpad replacing the physical keyboard, it is not something that we should see on modern day notebooks for now. 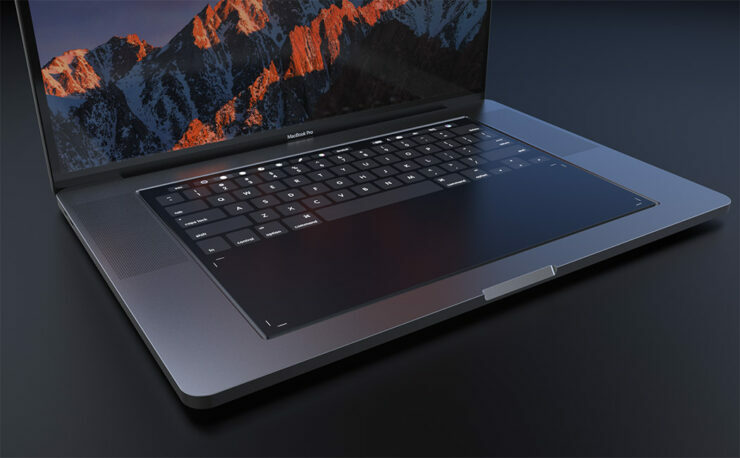 Check out this latest MacBook Pro concept and let us know what you think down in the comments.